NAHC President Val J. Halamandaris recently issued a detailed statement praising the work of the Medicare Fraud Strike Task Force, known as HEAT, while also reiterating that home care fraud is committed by a relatively small number of individuals. 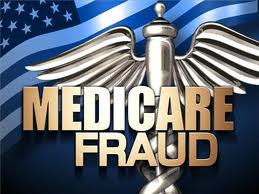 NAHC commends the Medicare Fraud Strike Task Force and law enforcement agencies for taking action this week to stem what appears to be a coordinated Medicare fraud scheme to divert federal money intended for care of the aged and infirm by charging 89 people in eight cities and totaling approximately $223 million in alleged false billing. While we support aggressive enforcement the accused are innocent until proven guilty. NAHC has always had a zero-tolerance policy for those who would look to divert funds from Medicare and Medicaid for their own personal gain. We have taken a very focused and aggressive approach to fraud and abuse concerns in home health care. NAHC believes that patients and providers alike have the duty to help maintain the fiscal integrity of government programs. Additionally, we believe we should not discourage the thousands who are struggling to do a great job in caring for the ill, infirm and people with disabilities, and who will need to provide home-care services to the large percentage of the 78 million baby boomers. The health care reform law includes numerous provisions that NAHC initiated to help stop high risk parties from entering Medicare in the first place as well as to catch them as quickly as possible when they fail to properly safeguard Medicare. These include stricter provider participation screenings, the authority for a moratorium on new providers, and the highly successful limit on outlier billings that eliminated a systemic abuse by certain home health businesses. We believe it is imperative that home health agencies faithfully execute physician orders calling for the extension of in-home medical care while following the highest standards of care. NAHC is continuing its efforts to strengthen program integrity measures in Medicare and Medicaid by offering recommendations to further reduce wasteful spending and prevent fraudulent conduct. These recommendations include home health management credentialing, a requirement that all home health agencies have a corporate compliance plan and strengthen admission standards for new Medicare home health agencies. NAHCs Legislative Blueprint similary addresses fraud and abuse in several different sections. To review the full Legislative Blueprint, please click here.